Be careful and safe this Labor Day weekend. The National Safety Council warned in a recently released report that motor vehicle fatalities had increased in the first six months of 2016 by 9% over the same period last year, and had jumped 18% over a 2 year period, leading the Council to “issue its highest fatality estimate for the Labor Day holiday period since 2008.” Since January, approximately 19,100 people have been killed and 2.2 million seriously injured, leading to a total estimated cost of $205 billion. That’s billion with a B. A stronger economy and lower gas prices are believed to have contributed to the increase as more drivers hit the road for longer trips. Other factors, such as distracted driving (stop texting!) and driving under the influence also lead to accidents. Avoid driving beyond 11 PM. Make sure every passenger buckles up. Designate an alcohol and drug-free driver or arrange for a taxi/Uber/Lyft. For long trips, get plenty of sleep and take regular breaks to avoid fatigue. 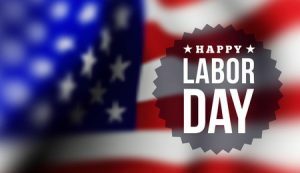 If you are involved in a car accident or find yourself charged with a DUI on Labor Day or any other time, please give us a call. And please, stay safe.